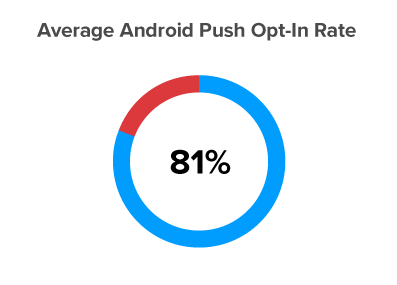 Wondering how your app is performing against others in your industry? Look no further! In this cheat sheet, we’ve provided benchmarks for Retail & eCommerce apps based on our database of more than 37,000 apps. We’ve focused on benchmark data around several key metrics — app engagement, user retention and the impact of a mobile marketing strategy. The data is based on app usage for the first half of 2018. Average number of times an individual app is launched per month. Average time spent in an individual app across all sessions per month. Total amount of time spent in apps throughout the month. Average number of times an individual app is launched per week. Average time spent in an individual app across all sessions per week. Total amount of time spent in apps throughout the week. Retention measures the percent of users who return to an app one month, two months, and three months after the app is downloaded. 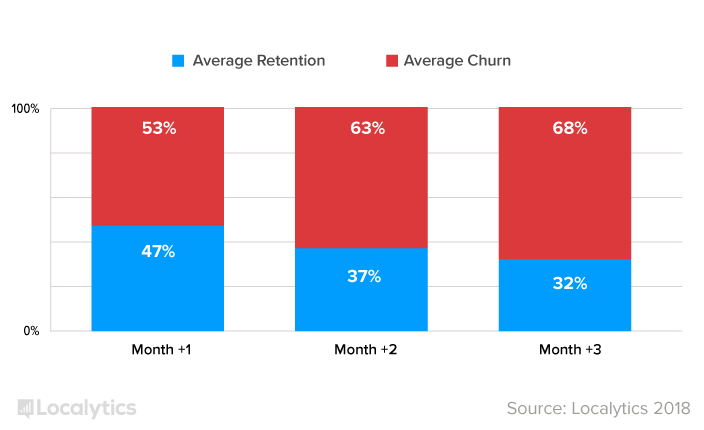 Churn is the opposite; it measures the percentage of people who do not return to an app one month, two months, and three months after download. According to our data, 47% of users are still using apps one month after download, meaning 53% of users have churned and are no longer using these apps after one month. 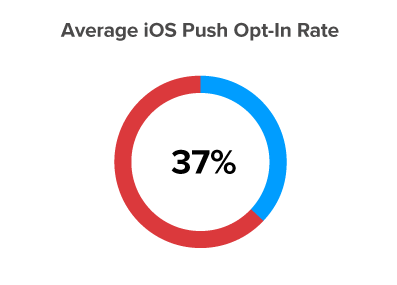 Open Rate is measured as the percent of users who clicked on the message within the first day of receiving it. Conversion Rate is measured as the percent of users who clicked on the message and then fulfilled the desired conversion event within the first day of receiving the message. Engagement is measured as the average number of sessions recipients of the message had within the the first week of receiving the message. Localytics is the leading mobile engagement platform across more than 2.7 billion devices and 37,000 mobile and web apps. The timeframe for this data is for the first half of 2018.